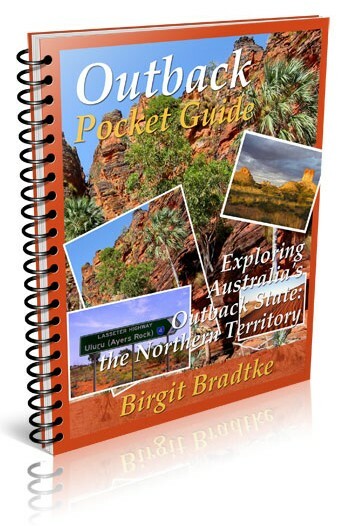 My name is Birgit Bradtke, I own and operate Outback-Australia-Travel-Secrets.com. I am dedicated to protecting your data and privacy. I recognize that your privacy is important. This document outlines the types of personal information I receive and collect when you use Outback-Australia-Travel-Secrets.com, as well as some of the steps I take to safeguard that information. This will help you make an informed decision about sharing personal information with me. I strive to maintain the highest standards of decency, fairness and integrity in everything I do. Likewise, I am dedicated to protecting my online visitors' privacy on Outback-Australia-Travel-Secrets.com. I use information from Google Analytics to track the number of visits to Outback-Australia-Travel-Secrets.com, browsers and operating systems. No personally identifiable information is obtained from these cookies. I use the information that Google Analytics generates relating to my website to create reports about how visitors use my website. These reports help me to update the site and improve your usage of it. 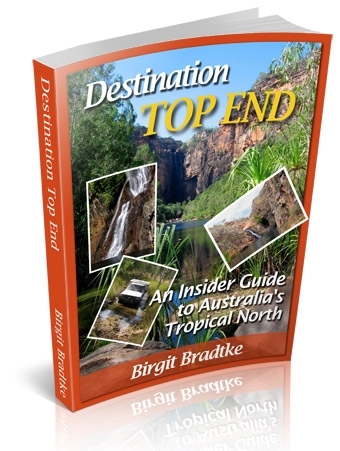 I receive an affiliate commission for some of the products sold on Outback-Australia-Travel-Secrets.com. The affiliate services platforms I use are Amazon, CJ, ClixGalore and HotelsCombined. If you choose to refuse Outback-Australia-Travel-Secrets.com's cookies, you may not be able to fully experience the features of the site. To improve my customer service. Outback-Australia-Travel-Secrets.com may collect personally identifiable information from you in a variety of ways, including, but not limited to, when you visit my site, register on the site, or fill out a form, and in connection with other activities, services, features or resources I make available on my site. If you complete a form, I will require your name and your email address, and I will ask for information relevant to the purpose of the form. If you submit content to me for publication, I will ask for your name and email address. Your name and email address will not be published. However, photos you include with your submission, or details in your submission, may personally identify you. My website contains links to other websites that may be of interest to you. However, once you have used them to leave my site, I do not have any control over that other website. Therefore, I cannot be responsible for the protection and privacy of any information you provide while visiting such sites. These sites are not governed by this privacy statement. Always exercise caution by reviewing the privacy statement of the website in question before continuing to use it. 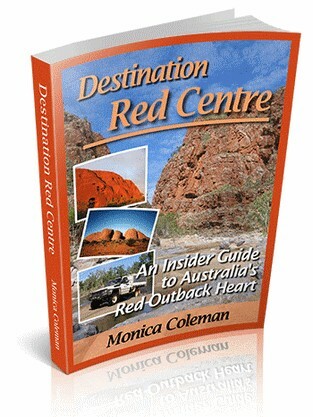 Outback-Australia-Travel-Secrets.com is directed to adults. It is not directed to children under the age of 16. I operate my site in compliance with current regulations. Anyone under the age of 16 must provide parental consent to use this site. I do not knowingly collect or use personally identifiable information from anyone under 16 years of age. If I sell Outback-Australia-Travel-Secrets.com, the information I have obtained from you through your voluntary participation in my site may transfer to the new owner as a part of the sale so that the service provided to you may continue. In that event, you will receive notice through my website of that change in control and practices, and I will make reasonable efforts to ensure that the purchaser honors any opt-out requests you might make. Canada is one of the countries that already has GDPR compliant standards for data processing in place and is therefore considered secure under the new regulations. If you have any questions left regarding this policy or how or why I or my partners collect, process and store which data, don't hesitate to contact me. 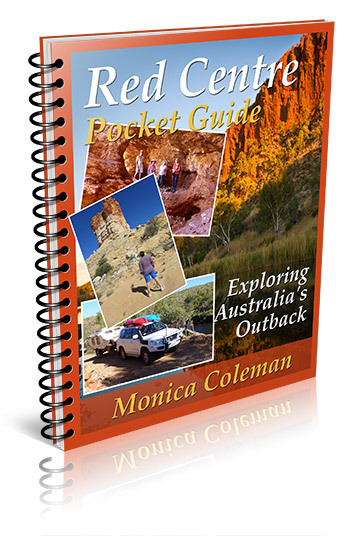 TO RECEIVE YOUR FREE 70-PAGE OUTBACK GUIDE PLUS! DESTINATION RED CENTRE, THE LATEST ADDITION TO THE POPULAR DESTINATION SERIES, COVERS THE OUTBACK AROUND ALICE SPRINGS AND ULURU. 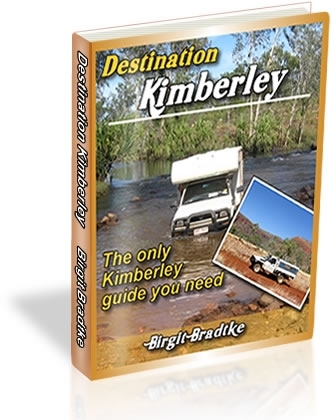 DESTINATION TOP END, YOU NEED THIS IF YOU ARE TRAVELLING TO OR FROM DARWIN.